Modern art is a hot topic. Everyone has an opinion about Damien Hirst's shark in formaldehyde, or Tracy Emin's unmade bed. In this book artist, CJ Hollins unpicks the reasons why art has taken such an apparently bizarre and controversial turn in modern times. 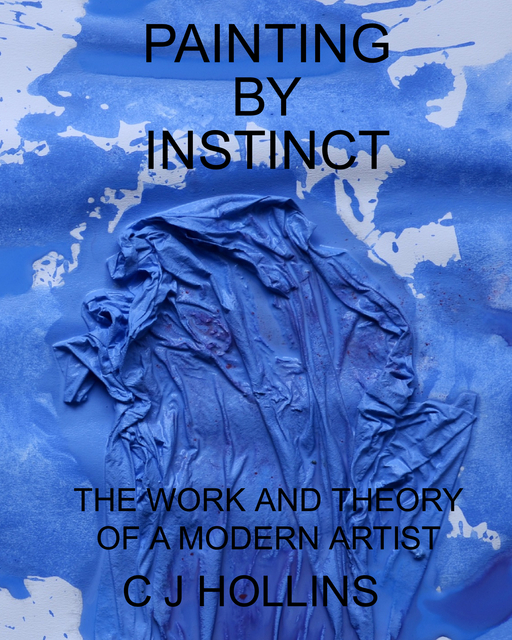 In laying out his startling new theory of modern art, he shows how human intellect has marginalized the animal instinct in the depth of our mind. Painting without reason or controlled technique is shown by Hollins to be capable of bringing recall of this old animal experience, and, for this reason, he believes art is an inherent way of sensing, rather than a product made for the marketplace. Hollins tells us that condemning disruptive trends in art as mere worthless attention seeking is too superficial response, and we respond this way because the uncertainty we confront in this type of art brings recall of the remains of an old inherent way of sensing by instinct. Researching the theory that a modern artist is a person who is trying to rediscover a primal state of mind. Hollins believes traditional art practices arose in prehistory to impose a sense of intelligent control over sight, shape, sound and movement to suppress our older instinctive 'animal' way of sensing. Hollins excelled at art in school but was considered to be a misfit and left at 15 with no formal qualifications. He worked on a car assembly line until, at 20, he walked out and did odd jobs whilst formulating his theory. He says, “ I cannot tell you how I arrived at this idea. I think it had something to do with the way my lack of higher education made me look at everything from an ‘outsider’ point of view. It forced me to make my own interpretation rather than accept the established theories.